There is an explorer in every child. And what’s more fun than crossing roaring rivers, swimming through vicious oceans and rushing down daring slides? But where can such children’s dreams become reality? In Salzburg’s family-friendly thermal baths, of course. 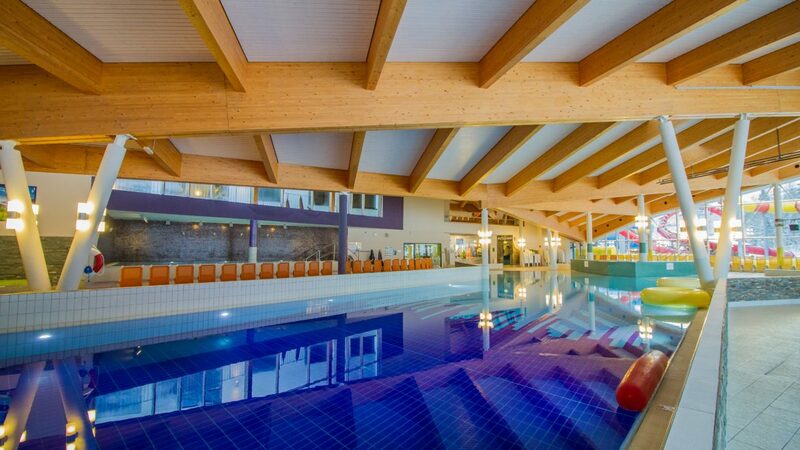 The Therme Amadé Spa in Altenmarkt is an absolute highlight for families visiting SalzburgerLand. Located only 45 minutes away from the city of Salzburg, 11 pools, one flow channel and one wave machine are guaranteed to entertain both young and old alike. There are also three slides that are quite special: The Black Mamba, for example, stretches 50 metres toward the valley and is completely dark inside. The funnel slide Python provides the most water fun imaginable with its 100 metres of length. And the Anaconda, Austria’s only single loop slide with rocket launch, is even more exciting. Eight metres of free fall are going to give you an unforgettable adrenaline rush. Plenty of courage and a lack of vertigo are not only necessary for the slides, however, but will also come in handy for the water climbing wall in the Therme Amadé Spa. Climbing aficionados can climb up to five metres high right out of the pool and jump right back into the water. Another special feature of the Therme Amadé Spa are the children’s birthday parties for little princesses. The birthday girl, as well as her best friends, get to dress up as the Little Mermaid and swim through the amazing water world for two hours wearing a fin costume. Other types of children’s entertainment are also provided. Plenty of fun for the little ones while mum and dad get to relax in the sauna area. And speaking of saunas: One of the additional features of the Therme Amadé Spa is the fact that children also have access to the sauna area here. Among the highlights of any family excursion to the Gasteinertal valley is a visit to the Alpentherme. The facility’s Family World is all about experiences for the entire family. One feature is the 360° multimedia room. 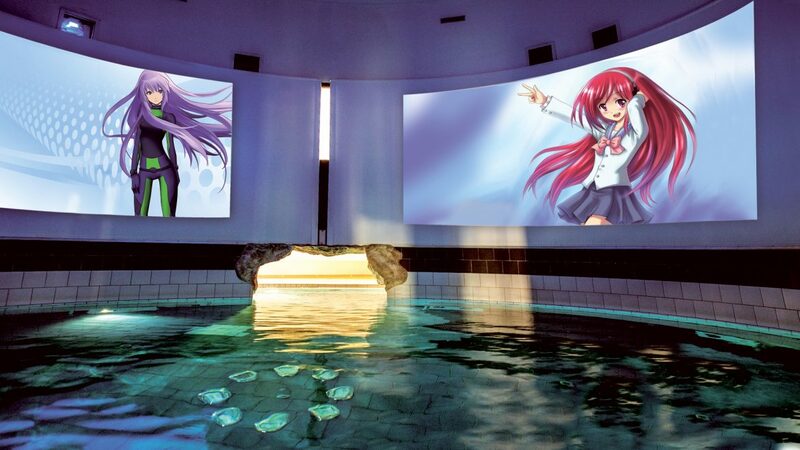 Here, a water cinema provides amazing nature images as well as fun family films for curious kids. The Black Hole rafting slide and the Speed slide with time measuring, on the other hand, will satisfy any adrenaline junkie’s cravings. Those who prefer it a little more slowly, can go for a drift in the Lazy River flow channel. For the smallest guests, there is a toddler and baby pool. During the summer months, the outdoor area provides plenty of space for fun and games. A new highlight, launching summer 2017, will be the 4-track wave slide with a length of around 30 metres. During the winter holidays, the Alpentherme provide a kindergarten with supervision for kids aged 3 to 10 years completely free of charge. For up to two hours, the young ones can let off some steam while parents get to relax in the sauna or in the pool. During the summer holidays, there is also plenty of fun to be had with various types of children’s entertainment, also provided free of charge. In the Felsentherme in Bad Gastein, children can look forward to the spectacular waterfall, the kids’ slide and the children’s area filled to the brim with water toys for splashing and sharing. The TAUERN SPA in Zell am See/Kaprun also contains a kids’ area called Kidstein, providing a 127-metre-long slide, a play stream, an outdoor pool and a fun grotto for young explorers. The Aqua Salza in Golling is not only closely located to the city of Salzburg, but also offers plenty of highlights for families, including a huge slide, a baby pool and the chance to hold birthday parties for children.